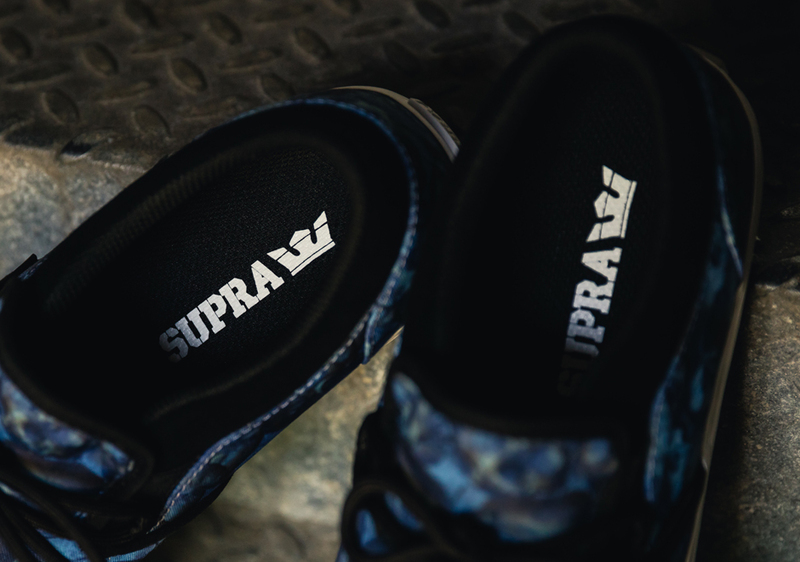 Supra goes from the streets to under the streets with their latest collaborative sneaker. 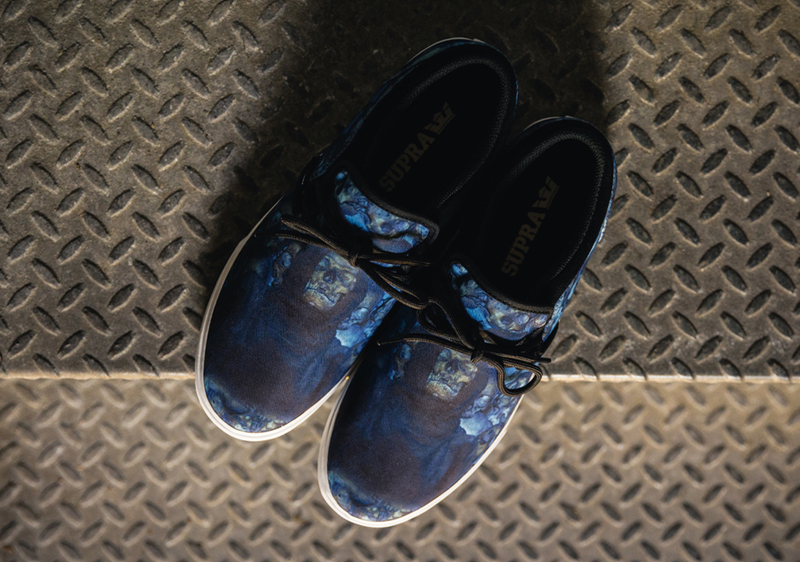 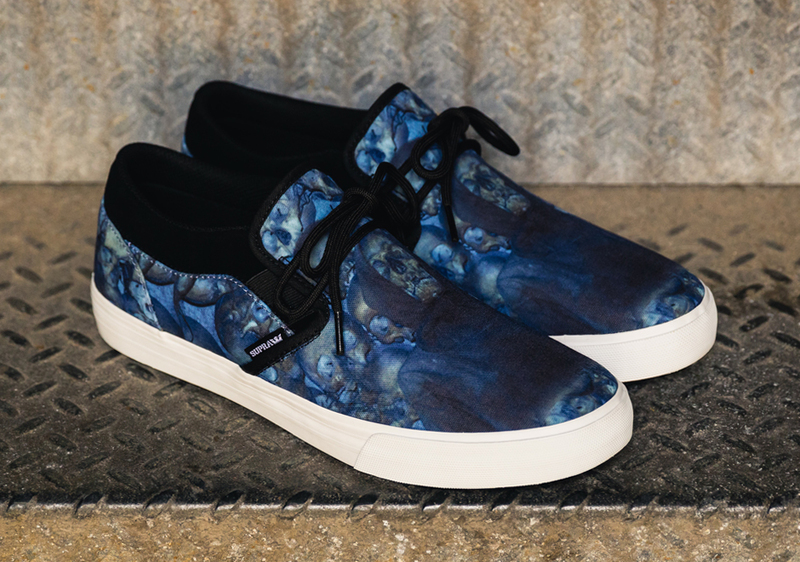 Teaming up with Andrew Levitas, the New York based photographer, painter, and sculptor, Supra presents a special edition of the Cuba slip-on featuring an image from his series of photographs taken while exploring the subterranean catacombs beneath Rome. 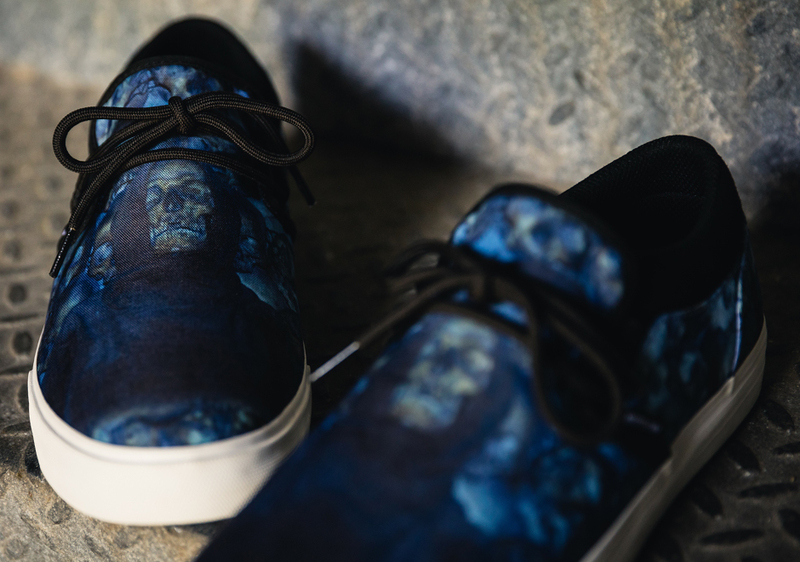 Levitas was given unprecedented access to the ancient catacombs, which contain the remains of Capuchin friars. 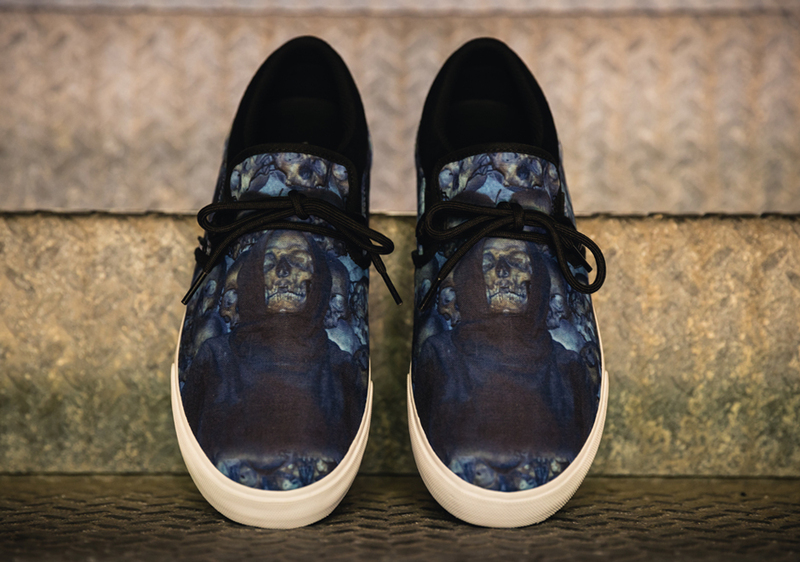 Creating a wearable piece of art, a grim image of one friar is backed with a plethora of skulls across each of the durable canvas uppers of the Cuba. 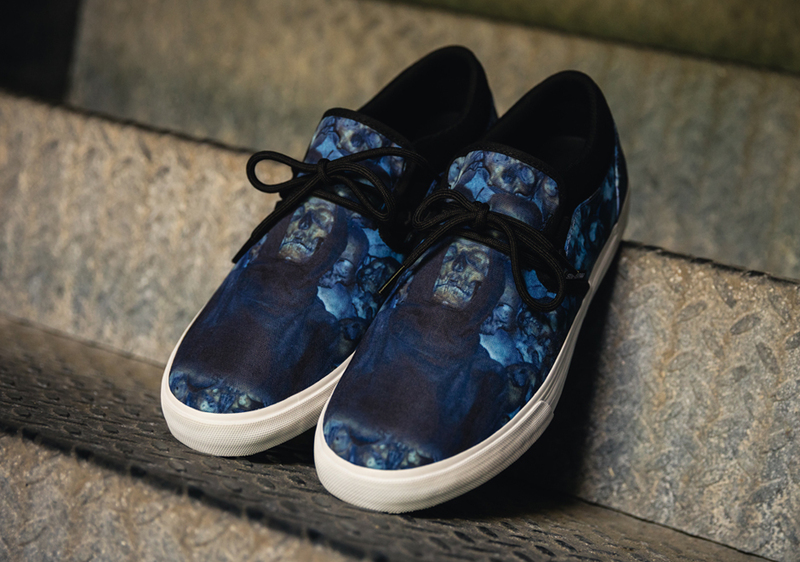 The image is presented in Levitas’ signature style from his “Metalwork Experiment” series of photographs transferred onto large metal sheets for a sculptural effect. 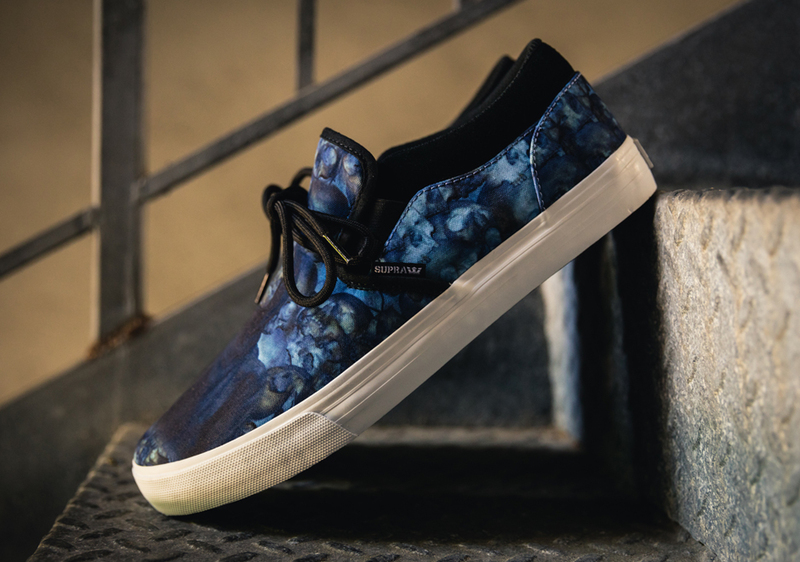 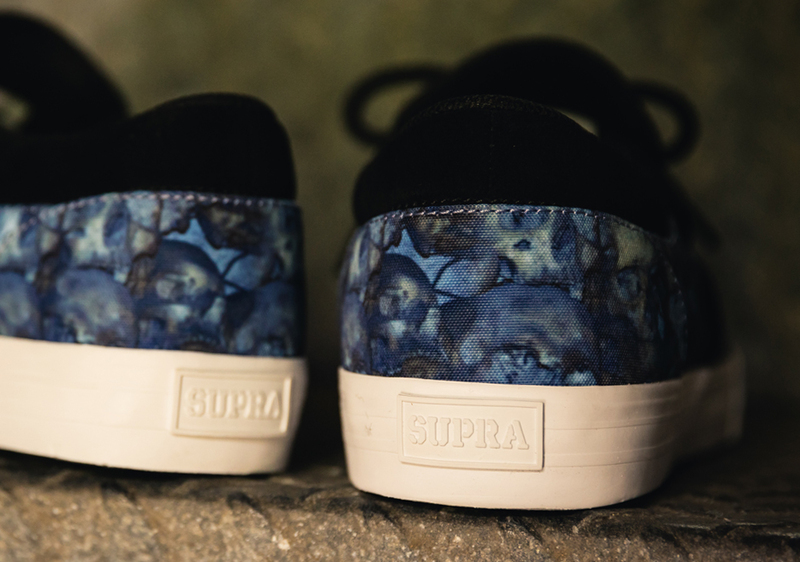 A serious collab with even more serious subject matter, the Andrew Levitas x Supra Cuba will be dropping soon. 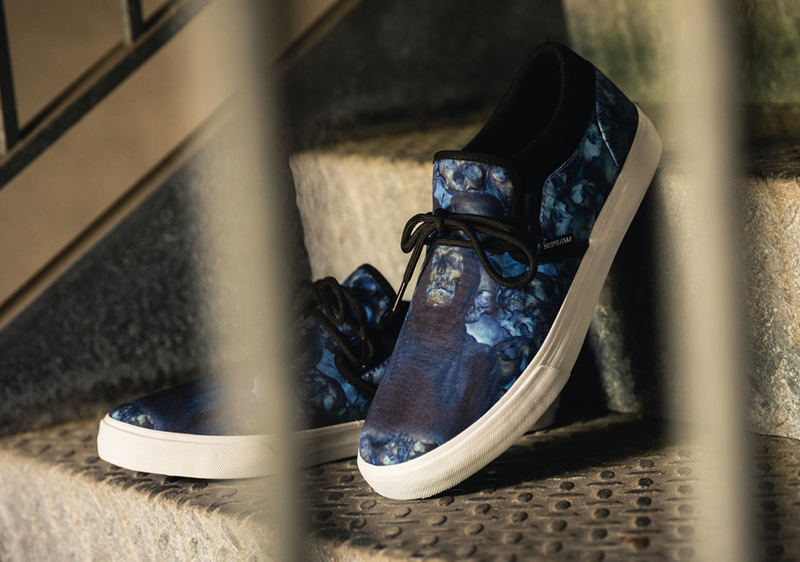 Stay tuned for further release details.